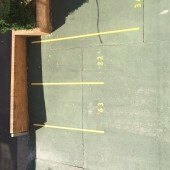 This outdoor lot space is located in Paddington and available to lease. 2 minute walk from park to The Lord Dudley and Four in Hand. 10 minute walk to Edgecliff Station and Oxford Street. Surrounded by prestigious Art Galleries and 4 kms to the CBD.